You don’t have to be a believer of the after-life, reincarnation or the land of Spirit, but you can’t deny these such topics have caught your attention at least once in your life. Even the simplicity of seeing number sequences far too often can’t be just something more than circumstance, now can it! Repeatedly seeing 2:22, or 5:55 on the clock is actually much more than what you are looking for when you see it, wanting to known what time of day it is. For example 2:22 has a profound meaning in regards to taking a balanced, harmonious and peaceful stance in all areas of your life. The message is to keep the faith and stand strong in your personal truths. Do not put your energies into negativity and be aware that all is being worked out by spirit for the highest good of all involved. 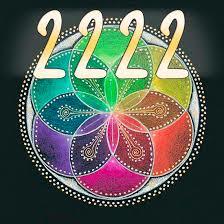 2:22 is a message of faith and trust from your angels. Remember that nothing happens by chance and everything happens for a reason. 5:55 is a message that it is time to let go of the old, that is no longer positively serving you. Trust that they or it will be replaced with ‘better’. Release old doubts, fears and perceived obstacles, and if feeling any fears or confusion, ask for support and guidance from the very angels that are sending you the messages. 5:55 suggests that major life changes are taking place in many areas of your life. Trust that these changes are for both your immediate and long-term benefit, go with the flow… I have found that number sequences happen in intervals, I will see them constantly for a period of time, for me personally it is usually around the full and new moons. After several days of repeatedly witnessing their messages, they will disappear from my spiritual radar for a little while, before they return again. The key is to recognize what is happening in your life, what is going through your mind, and what is on your spiritual sonar and direction finding radar at the time when the spirits come to speak to you, by way of numbers. What are you thinking about, what areas of your life need adjustments, where are you holding yourself back from growing and expanding, and what old fears and ancestral conditioning do you need to dissolve and let go? If you are seeing number patterns then you can be sure that your Spirit Guides and loved ones passed over, are assisting in these times of your life that evolution is required from you, for the good of your Soul.